Here in Southern California, we take it for granted that growing season extends throughout the year. Did you know that our state leads the nation in agricultural production? Food grown here makes its way to grocery stores and food processors, not only all over the country, but all over the world. 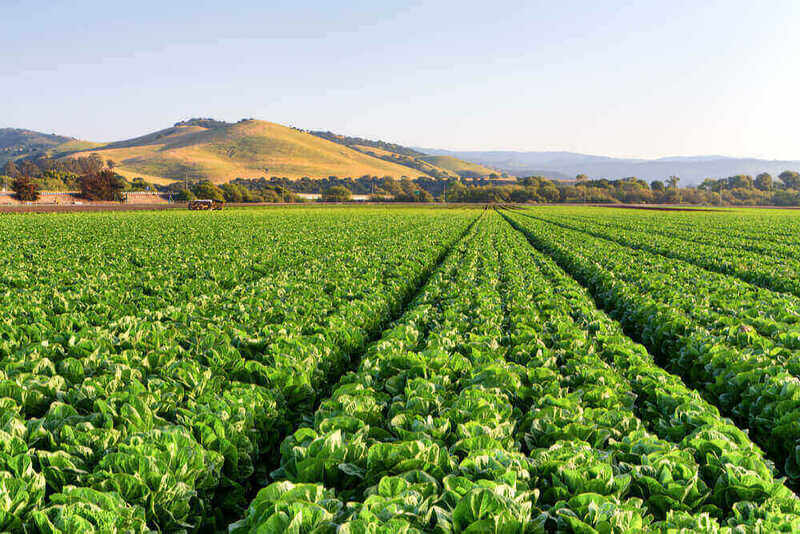 The reason why California has been able to become an agricultural leader is largely due to the climate, and conditions that are conducive to growth. As you seek to grow your business, it’s vital that you create conditions that are conducive to business growth. Here are seven ways that managed IT services helps you to do that. You can’t grow your business if you are continually surprised by IT outages and slowdowns. Managed IT service companies bring a proactive approach to IT management that's focused on preventing problems before they become big issues. Predictable IT systems also contribute to the efficiency and productivity of your staff, allowing them to get more work done in less time. An important part of growing a business is creating repeatable processes that give customers a consistent experience and help employees to do their work. A managed IT service provider can help you to analyze your processes and find ways technology can make them faster, and more in line with customer needs. Process improvement isn’t just good for business operations. Your staff wants to do a good job and they appreciate your efforts to enable them to do just that. You can’t grow a business without managing your finances. Moving to managed IT services will help to control your IT costs in several ways. While their monthly fee might be an added line in your budget, you should expect other costs to decrease, such as repairs and the cost of downtime. Scheduled equipment and software refreshes will save money in the long run, and improving processes will cut costs. If you haven’t thought of IT as one of your risk management tactics, then it’s time to do that right now. When you have unpredictable IT systems, you increase your risk of having surprise bills eat away at your profits and put strains on cash flow. In our technology-driven world, managing risk also means managing cyber risk. Managed IT services can help you manage risk and protect your profits by creating the highly functional and secure systems that keep your business running every day. When you’re growing a business, you don’t want to have dollars locked up in capacity that you don’t need. Managed IT services is a little like renting an IT department. You get the level that you need right now, and you can scale up and down as needed. Not only that, you get access to a whole department of expertise that wouldn’t be available otherwise. When you don’t have to worry if your network is being properly managed, or if your business is being protected from the threat of cyber crime, you suddenly become free to focus on your business. Managed IT service companies can help you leverage new technologies by giving you the IT guidance that you need to make informed decisions. The decisions that business leaders make about technology have ripple effects that spread throughout their organization. By getting expert advice on how to innovate with technology, executives and business owners can be confident that their decisions will result in the positive impacts they expect. Improving customer satisfaction is really a result of the previous six points in this article, but it’s important enough to stand alone, too. Any business that wants to grow needs to retain customers. Technology can improve the experience your customers have as they interact with you. It can enable faster and better product or service delivery. Technology can help your customers meet the needs of their customers in turn because of enhanced communication and collaboration. There are a lot of factors that California farmers can’t count on as they are planting, nurturing, and bringing a crop to market. Weather is just one of them. There are many factors that you can’t control in your business environment, but your IT systems doesn’t have to be one of them. Accent Computer Solutions helps Southern California organizations create IT environments that help them grow. Contact us today for a consultation. We’re eager to hear about your goals and challenges, and help you find ways to fertilize your vision for success.